Everybody has their own comfort zone. It’s a place or condition where we feel safe and enjoy being in. 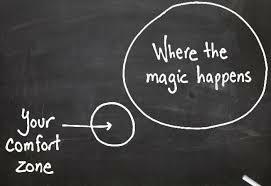 But sometimes our comfort zone can also hold us back from our own possibilities. We begin to have fears and put limits on ourselves. Nevertheless, learning to step out of our comfort zone can bring us benefits and even lead us become better versions of ourselves. It seems pretty clear that if we conquer a certain fear, we can feel better about ourselves and there will be a boost in our self-esteem. Once you start stepping out of your comfort zone, you’ll slowly build more confidence because you are recognizing that your fears and boundaries can be easily cast aside if you just act on them. Stepping out of your comfort zone allows you to try things you never have before. For example, you might be anxious to learn to swim for some reason, like being afraid of the water or being ashamed of your body. But when you actually begin to learn, you find out that you’re actually pretty good at it and you think you might even be the next Joseph Schooling. 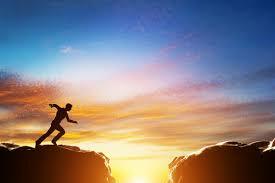 Breaking free from your comfort zone enables you to dig deeper into who you really are. When you open yourself up to more adventures in life, you’ll earn a lot of experiences and new skills which you can then use to create new and fresh ideas. In addition to everything you already know, you can use these new skills to spark your creativity whether for work, hobby, or in other daily activities. You also get to establish more relationships if you’re able to step out of your comfort zone. You can establish stronger bonds with those you already know or even get to meet new friends. Many of us actually have a small fear of talking to strangers, like asking directions, for example. But when we get rid of that, it becomes easier to talk to people and engage in more interactions. There’s a whole world out there to discover! Sure, you’d want to stay in the comforts of your place, but that can get pretty boring when the time comes. Life becomes more exciting when you get out there and experience things for yourself, doesn’t matter if you get pleasure or pain. You should really just do it so that you won’t have any regrets in the future. Life is spontaneous and things will always change for better or for worse. 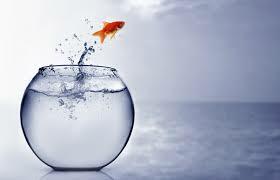 Stepping out of your comfort zone helps you embrace unexpected changes. This can be especially beneficial because it can be a struggle to deal with sudden changes particularly if they’re negative. By moving out of our comfort zone, we can exercise the ability to accept the changes in our life.